Over the past 45 years, SEK El Castillo has built an enviable reputation for providing exceptional education based on innovation, professional development and the willingness to adopt new ideas. 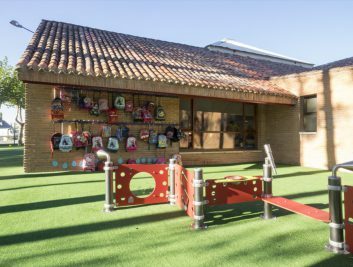 Founded by Felipe Segovia in 1972, the school has played a leading role in Spanish education and today we continue to build on that legacy. 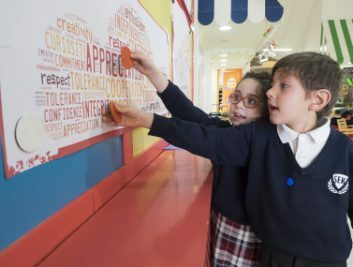 As a bilingual international school, we are committed to offering our students the best start in life, to equip them with the skills, knowledge and attitudes that will contribute to their personal and professional success. A first-class education is much more than studying to obtain good grades; we learn through experience, participating in an inclusive and vibrant community, facing challenges and generating solutions through collaboration and teamwork. Our goal is to lead the transformation of the global learning society. Therefore, we pursue the continuous improvement of our teaching and learning activities, based on innovation, research and rigorous professional development. Our students are at the core of the educational work of our school. They are enthusiastic and independent thinkers with a strong sense of intercultural understanding, true multilingual and independent learners. Our job is to support and guide them, adapting the study programmes to their strengths, interests and needs. In recent years, the school has had an influx of students and teachers of different nationalities who have made it an ideal environment for the exchange of intercultural and international experiences leading to new, more global teaching models. 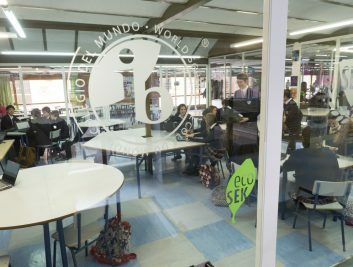 Therefore, SEK El Castillo offers the International Baccalaureate Organisation® (IB) programmes, incorporating the Spanish national curricular framework. 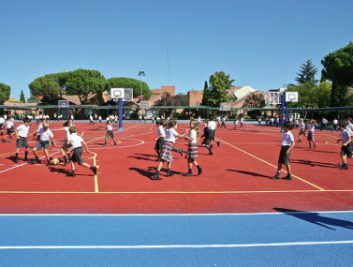 With the accreditation of the Council of International Schools (CIS), we teach the Primary Years Programme (PYP), the Middle Years Programme (MYP) and the International Baccalaureate (DP) Diploma Programme. In the near future, we will also offer the International Baccalaureate Career-related Programme (IBCP). Students are able to study within the Spanish LOMCE framework. 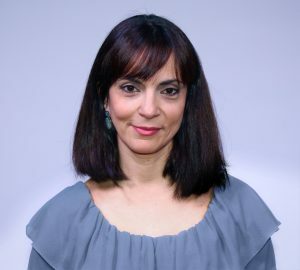 The new demands of students and families have led the school to offer a fully English-language syllabus in Early Childhood in the Primary Years Programme, PYP, and as an option in Secondary with the MYP, as well as the option of ending their school studies with the Diploma Programme in English and Spanish. 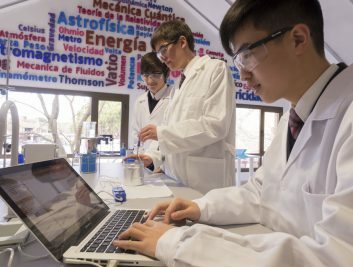 Our academic programmes are complemented by a wide range of extracurricular activities: a varied range of sports, maker space activities, journalism, the Duke of Edinburgh’s Award, Model United Nations and business initiatives, to mention just a few. One of the most important novelties this year, and which we are particularly pleased with, is the creation of the Music school. With this initiative we meet students’ needs and we reaffirm our conviction that music always fosters cognitive, creative and emotional development. The students have the opportunity to travel and study abroad at our schools in Dublin (Ireland) and the French Alps. 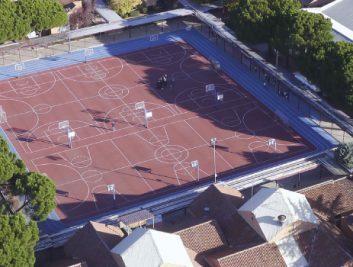 We also have close ties to Real Madrid and other sporting bodies and federations, leading to the creation of the SEK International Sports Academy, a one-of-a-kind boarding programme in Spain, tailored to helping elite athletes realise their full potential. In this sense, our international boarding halls afford first-class care and support for student athletes. 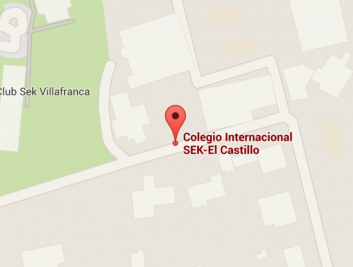 The proximity of University Camilo José Cela, sharing a campus with our school, enhances the possibilities of collaboration between school and university, expanding the students’ horizons throughout their academic life. 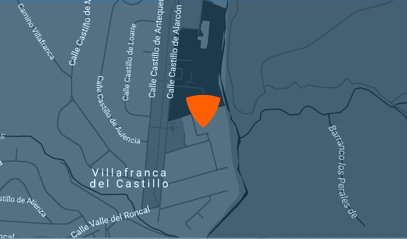 Being part of SEK-El Castillo is something very special, an international and intercultural environment that grows every year. The experience of forming part of a unique student community that will change the future will stay with students over the course of their entire lives. Educate international, well balanced and open minded learners, with a solid academic preparation which faces up to the challenges of the 21st century. Strengthen our institution’s international status; be a model for academic, pedagogical and sporting practices while developing social and environmental responsibility. French, German and Chinese, with native-speaking teachers.